Since 2008 Emmy Winner Charlotte Robinson has produced over 400 podcasts with LGBT leaders & celebrity allies. This year alone our weekly audio podcast series reached over a million listeners. 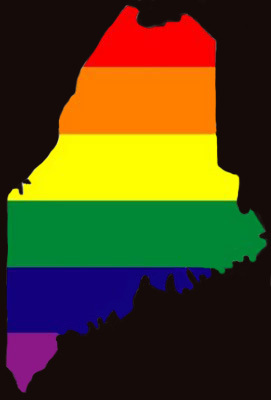 We have influenced & helped secured marriage equality as the law of the land by giving LGBT leaders a place where they can come to discuss important LGBT civil rights issues. 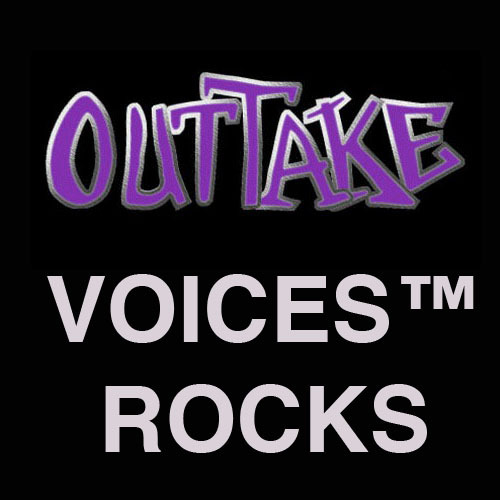 In 2015 over eighty LGBT activists, celebrities & allies appeared on our audio podcast series OUTTAKE VOICES which also broadcasts weekly on Huffington Post. 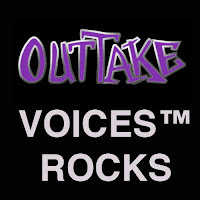 In 2015 we talked with playwright/actress Terry Baum, activist Josh Sanders, Cheryl Osimo Executive Director of the Massachusetts Breast Cancer Coalition, actor Michael Urie, Bryan Bishop, Founder & Executive Director of OUTVETS, Shahid Manning, Founder & Executive Director of Millennia Scope Entertainment, activist Walter Naegle, filmmaker Jane Clark, Mariah Hanson, Club Skirts Dinah Shore Weekend, Janson Wu, GLAD Executive Director, author K.B. Draper, George Brescia, style expert & author, Erica Kay-Webster, chef Daisy Martinez, Hip Chick Farms Serafina Palandech, Rabbi Jack Moline, "Modern Manners Expert" Steven Petrow, ESPN’s Christina Kahrl, Police Chief Crystal, Moore who was unfairly fired by the Mayor of Latta, South Carolina, Sarah Kate Ellis GLAAD President & CEO, musician Kristen Henderson, actress Louise Sorel, actress Crystal Chappell, trans actress Trace Lysette, model Cory Wade Ugandan LGBT Activist Pepe Julian Onziema, model Rain Dove, actress Laverne Cox, MSNBC’s Thomas Roberts, country music singer Ty Herndon, TV host Ross Matthews, actress Lynda Carter, actors Judith Light & Jeffrey Tambor from “Transparent”, AIDS activist Liz Page, Grammy winning songwriter producer Desmond Child, Levi Chambers, Lisa Viola, filmmakers Jeffrey Kaufman, Marcia Ross & Laurie Kahn, The Advocate’s Matthew Breen, iconic filmmaker John Waters, Bobcat Goldthwait, Filmmaker Kim Yaged, legendary AIDS Activist Larry Kramer, director Bao Nguyen, actress Jennifer Coolidge, singer/songwriter Jen Foster, actor Jason Stuart, GLAD marriage equality activists Chuck Latovich, Molly Girton, Gabby Hanna, Marcy Feller, Maralyn Wheeler, Amy Charamba, attorney Jennifer Levi, Beck Bailey, Mary Bonauto the architect of marriage equality in this country, Jo Davis, Alix Ritchie, Rick McCarthy, Elyse Cherry, Gary Buseck, Massachusetts Attorney General Maura Healey, Dianne Phillips, Robert Four, artist Barbara Cohen & marriage icon Edie Windsor. We chatted with Tony winner Betty Buckley, filmmaker Garry DuFour, author Cleary Wolters, Diego Miguel Sanchez, Lawrence “Larry” Watson, Jennifer Finney Boylan, Jeanne Leszczynski, thespian Susan Claassen, singer-songwriter Melissa Ferrick, Chef Rossi, singer/songwriter Ann Hampton Callaway, AIDS activist Jonathan Welsh, singer Migguel Anggelo, actress Bridget McManus, writer-director Phyllis Nagy, writer/producer Elliot Tiber & Kate Clinton our favorite political humorist delivered her year end review. We still have a lot to accomplish in the US & globally for our LGBT community so let’s make 2016 the best year yet for LGBT equality.